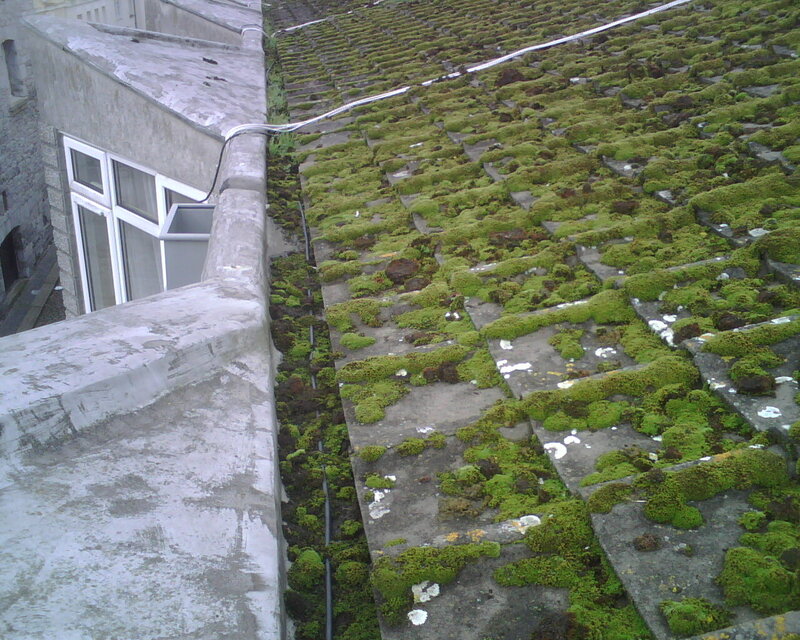 Following are before (Figures 1 & 2) and after (Figures 3, 4 and 5) pictures of an actual installation using a copper ridge plate and copper bars (used instead of the copper wire) to control the growth of moss. 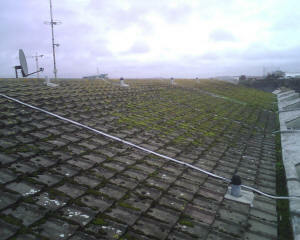 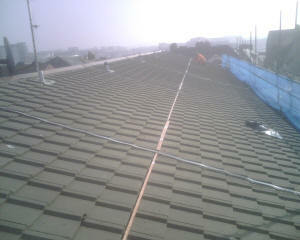 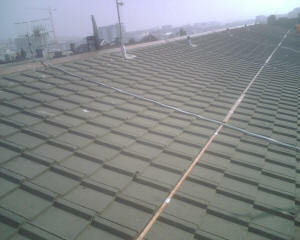 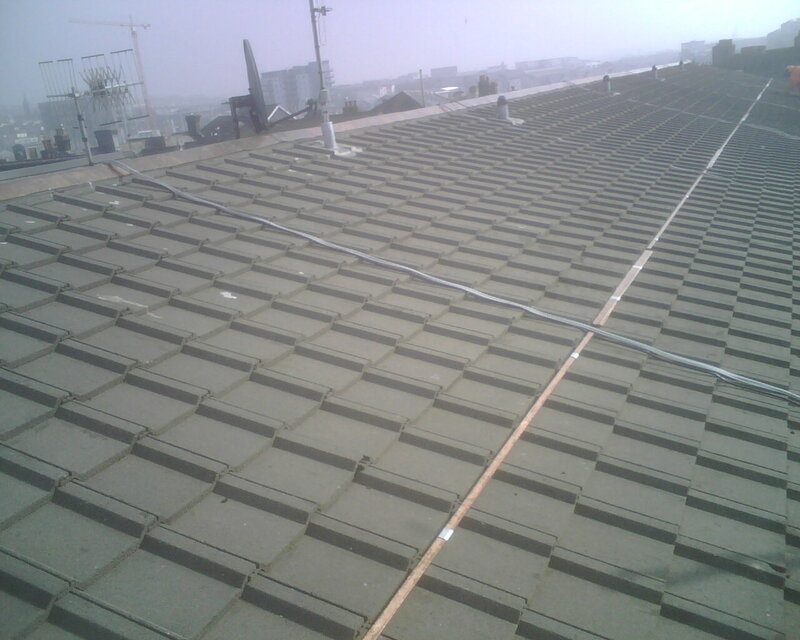 The roof tiles were initially sprayed with a moss killer and then a protective coating was applied. 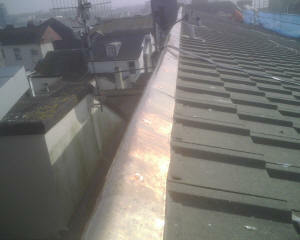 The copper ridge plate and the copper bars were grounded and lightening arresters were used. We wish to thank David Thomas Bsc Hons, Technical Manager, Facilities Management, Hanover Housing Group for providing the pictures.